Over the years I have grown many shrubs that, once established, are drought tolerant. When you plan your garden (and I am one that doesn’t want you to be a slave to your garden and wants to save you money on the watering), please consider planting some of the following shrubs. They are beautiful, and, when combined together can give you a great effect, with little work and much less water. Potentilla – this is a shrub that flowers all summer long, from June until frost. They come in beautiful colours; bright yellow, white, pink and a mango-yellow colour. Mango Tango was one of Dr. Louis Lens’ creations and he was with the University of Manitoba. They are deer resistant, are very hardy and also attract butterflies. They like to be pruned yearly, after their leaves have dropped in the late fall or in early spring before they start to leaf. 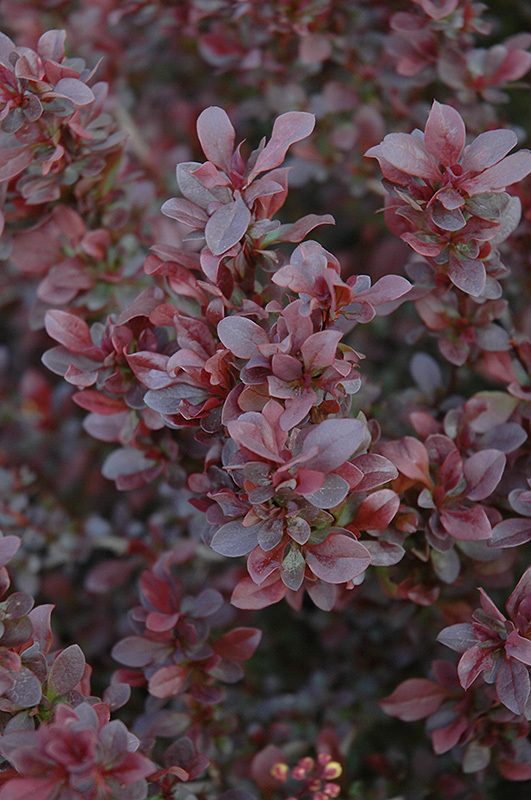 Barberry – one of my very favourites! They have beautiful burgundy foliage and berries for winter effect; are deer and rabbit proof because of their prickly stems and look great, especially combined with a gold leaf shrub or perennial. They come in a number of different varieties and look good from spring until their leaves drop in late fall. Junipers – both spreading and upright. They look great all year round! They range in green to blue to yellow; add a lot of texture, height and interest to your garden and are more tolerant of dry, sunny locations than are cedars. Some varieties are spreading and others are upright. Some have silvery blue foliage, others are gold and others are blue green. Spirea– Another one of my favourites that I have grown. They are beautiful, yet tough plants that tolerate a variety of soil conditions. They are also deer resistant. Some have lime green foliage that flowers in early summer, while other varieties have dark green foliage with red tips that turn purple in fall. They are worth checking out. Mugho Pine - They come in a dwarf variety that grows to four feet high, is a dense, low growing mounded evergreen. The regular Mugho Pine grows to 8 feet high and wide and looks great as a background plant or in mass plantings. These are just a few of my favourites, but, check out our plant catalogue for many more that can add interest to your garden and require little work and, once established, very little water!! !